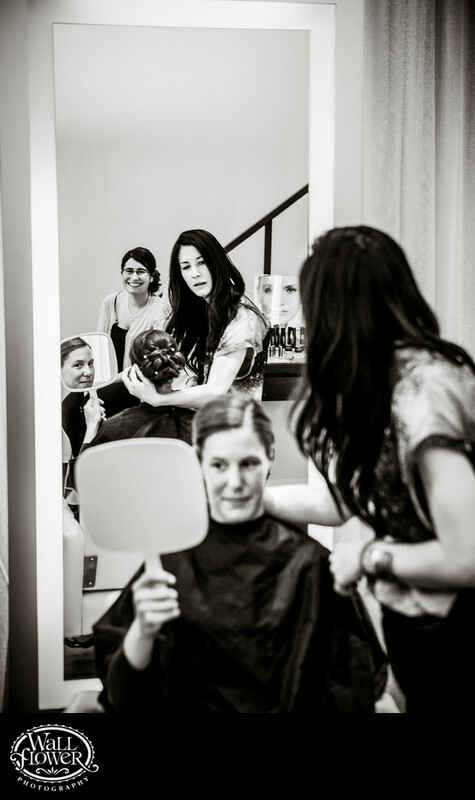 Two mirrors turn one bride into three, and three people into six, in this photo of the bride checking out her hairdo at Swink Style Bar in Seattle, Washington. I love letting my eye wander around the photo to the different faces, each one with intriguing expressions. The black and white conversion helps the eye to not get stuck on distracting colorful bits. This hair salon is a lot of fun to photograph in, with multiple viewpoints and interesting mirrors and decor.